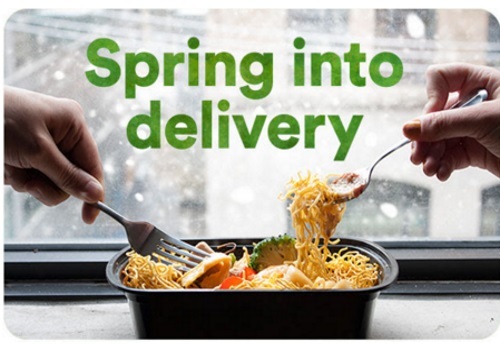 Spring Into Delivery with Just Eat! Save 15% off your food delivery order today! Enter the promo code NOSNOW15 at checkout. Offer is valid today only, Friday, April 9, 2016. Available for credit card orders only. For more info on how to enter these promo codes click here.